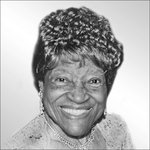 Obituary for Marian Virginia Green White | McGuire Funeral Service, Inc.
Marian Virginia Green White passed away peacefully at home with her beloved daughter, Carol by her side. Marian was the wife of the late John A. White and mother of the late David S. White. She leaves to cherish her memory three children, Carol N. Rolling, John A. White, Jr. (Karen) and Paul A. White; other relatives and many friends.